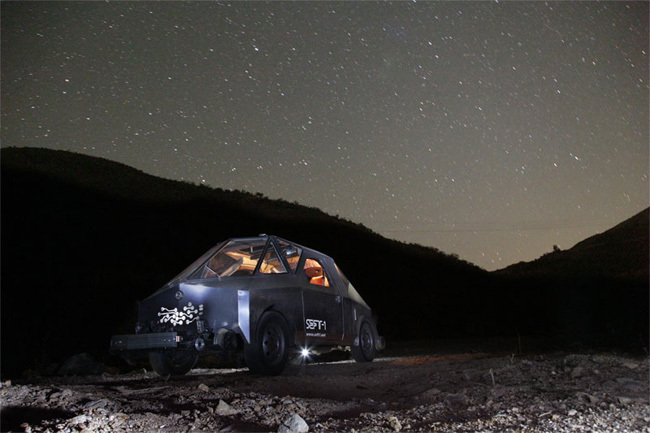 Over 5500 miles of abandoned railways stretching from one end of Mexico to the other enticed two brothers to build an incredible retro-futuristic exploratory car. 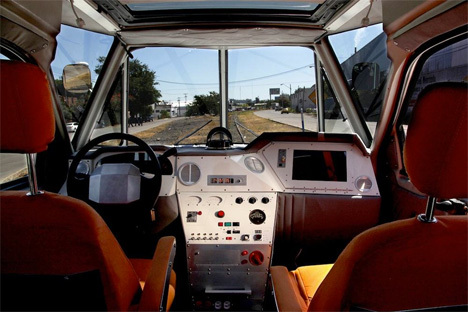 The SEFT-1 is modeled after a midcentury vision of a spaceship with an all-metal exterior and faceted windshield, and it’s equipped with modern sensors and navigation tools as well as wheels that can ride on rails. 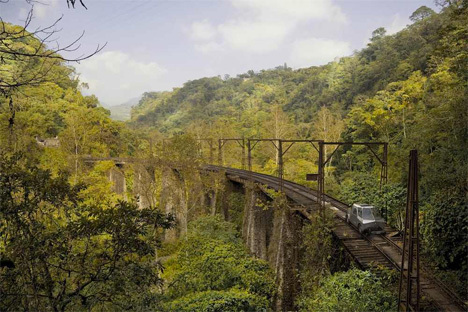 The railroads of Mexico were abandoned in 1995 due to flagging profits, and have been left to decay ever since. Ivan Puig and Andrés Padilla Domene, both artists, wanted a novel way to experience these nearly-forgotten transportation corridors. 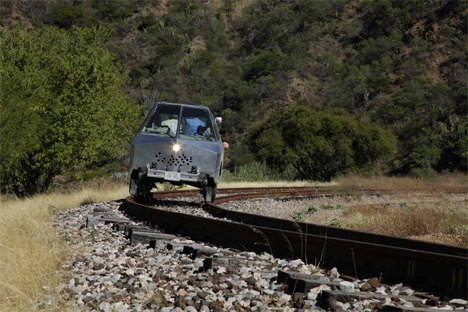 The SEFT-1 can drive on roads like an ordinary car, or use its extra set of front wheels to guide it along the rails. SEFT-1 stands for Sonda de Exploracion Ferroviaria Tripulada, which translates as Manned Railway Exploration Probe. 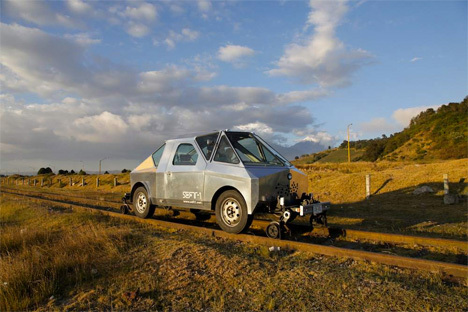 From 2010 to 2012, the brothers took the SEFT-1 on a journey that took them all the way to Ecuador, gathering data, videos, photos, objects and stories that tell the tale of what has happened to all those miles of tracks after their official use came to an end. Those findings are currently on display at London’s Furtherfield Gallery.